Academic studies on insider trading show that imitating insider purchases where multiple insiders make purchases will lead to an outperformance of about 7 percentage points per year. This means in a year when S&P 500 index returns 10% an investor who imitates insider transactions by multiple insiders should expect to return 17%. Of course there is a lot of volatility in the performance of this strategy and actual returns will be substantially higher or lower than the expected results. This is actually a good thing because this prevents professional investors from employing this as a stand-alone strategy. Most investors demand reliability and a hedge fund manager or a mutual fund manager usually don’t have the desire to go through potential short-term painful losses. We are long-term investors. This is why, we follow insider transactions in addition to using hedge fund filings to develop investing strategies. The stock picks of our small-cap hedge fund strategy returned 53% in 2013 (see a sample of our stock picks) and its strong return allows us to employ other uncorrelated and promising investment strategies. In this article, we will look into the five largest companies –in terms of market cap- that have witnessed multiple insider purchases over the past three months. First in our list is the mega-cap diversified industrials company, General Electric Company (NYSE:GE), that saw four different insiders purchase stock in repeated occasions (nine). On Jan. 21st, James Rohr, board director at General Electric Company (NYSE:GE), acquired his first 10,000 shares of common stock for nearly $300K. In two separate transactions, the insider paid $26.19 per share for the first 4,200 and $26.18 per share for the remaining 5,800. Even more active than Rohr was another director, William Beattie who purchased the company´s stock in several occasions over the past three months. The first transactions took place on Nov. 21st, 2013. The director acquired 5,000 shares –in three separate transactions- for $26.88 per share. Two months later, on Jan. 21st, he added an extra 2,000 shares to his portfolio for $26.23 each. Finally, on Jan. 24th, he bought another 2,000 shares at a price of $25.47 per share. William Beattie now owns –indirectly, through trusts and holding companies- almost 47,200 shares. Moreover, Jeffrey Immelt acquired last Monday, Jan 27th, 40,000 shares of Common Stock for $25.04 per share, and now holds more than 1.85 million shares, worth more than $47 million. We should note that Warren Buffett‘s Berkshire holds 588,900 shares of the company. Opinion among analysts is quite divided in relation to this company. 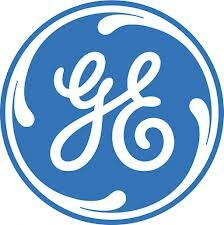 About half of them rate General Electric Company (NYSE:GE) as a buy and the other half as a hold. However, the balance is generally tilted towards a buy or overweight recommendation (Barrons/WSJ, Morningstar, Yahoo! Finance), mainly in account of its stability, scale, market position, below average valuation (at 18.6x P/E, versus an industry average of 21x) and dividend yield (usually above 3% of the stock price). Coming in second in terms of size is Simon Property Group Inc (NYSE:SPG) a $47 billion market cap real estate investment trust that owns some of the most important malls in the U.S. and other locations in Europe. However, this company experienced two small insider purchases over the past few months. In fact, both of them occurred on the same date, Nov. 26th, following strong third-quarter 2013 results and guidance increase. Allan Hubbard bought 129 shares of Common Stock for $150.50 per share and now owns 8,317 shares of the company. In addition, Larry Glasscock purchased 148 shares for $150.52, and currently holds 6,283 shares of the firm. What’s particularly attractive about Simon Property Group Inc (NYSE:SPG) is its profitability. Over the past five years, its earnings grew at an average rate of 17%. Meanwhile, the company continued to pay out -constantly increasing- dividends yielding more than 3%. Additionally, several major hedge funds, including D. E. Shaw and Adage Capital Management hold big stakes in the company –and have even declared an increase in their positions in their last 13F filings. Another interesting case is that of Dominion Resources, Inc. (NYSE:D), a producer and transporter of energy with a market cap of $38.5 billion. The company also saw two Board Directors buy its stock lately: Dr W Peter Brown and William Barr. The last one started a position in the stock last Nov. 7th, purchasing 3,100 shares for $65.54 each. Dr. Brown, on the other hand, made a smaller acquisition: he added 149 shares to his holdings – for $67.16 per share, and now owns 1,985 shares from Dominion Resources. The company occupying the fourth spot in this list was the most active in terms of insiders buying. American Capital Agency Corp. (NASDAQ:AGNC), an $8 billion market cap real estate investment trust focused on mortgage securities and obligations, observed four different insiders buy its stock over the past trimester. First off is Peter Federico, Senior Vice President and Chief Risk Officer. On Oct. 30th, 2013, he bought 2,500 company shares for $21.71 each. Then, on Nov. 1st, he purchased some more stock: on two separate transactions, he added 2,500 shares to his portfolio, for a price of $19.27 per share. Gary Kain, President and CIO, and Christopher Kuehl, Senior VP, also bought American Capital Agency Corp. (NASDAQ:AGNC)´s stock last Oct. 30th, following weak Q3 results announced on the previous day, and taking advantage of the strong drop in the stock´s price. The first insider acquired 25,000 shares for $21.66 each, while the second one only purchased 2,000 shares at a price of $21.56 per share. Finally, Larry Harvey, Board Director, made two purchases: one on Nov. 12th (2,000 shares for $20.97 each), and one on Dec. 2nd (2,000 shares for $20.04 each). Last –but not least- is Raymond James Financial, Inc. (NYSE:RJF), a financial services and bank holding company with a market cap of approximately $7.3 billion. Taking advantage of the company´s tax-efficient employee stock purchase plan (ESPP), Steven Raney -President and CEO- and Jeffrey Trocin -Executive Vice President- added Raymond James Financial, Inc. (NYSE:RJF)’s stock to their portfolios. Raney bought 129 shares and Trocin, 119. They both paid $41.14 per share. Academic studies show that imitating smaller insider purchases is less profitable than larger transactions but they still outperform the market.